P1261. 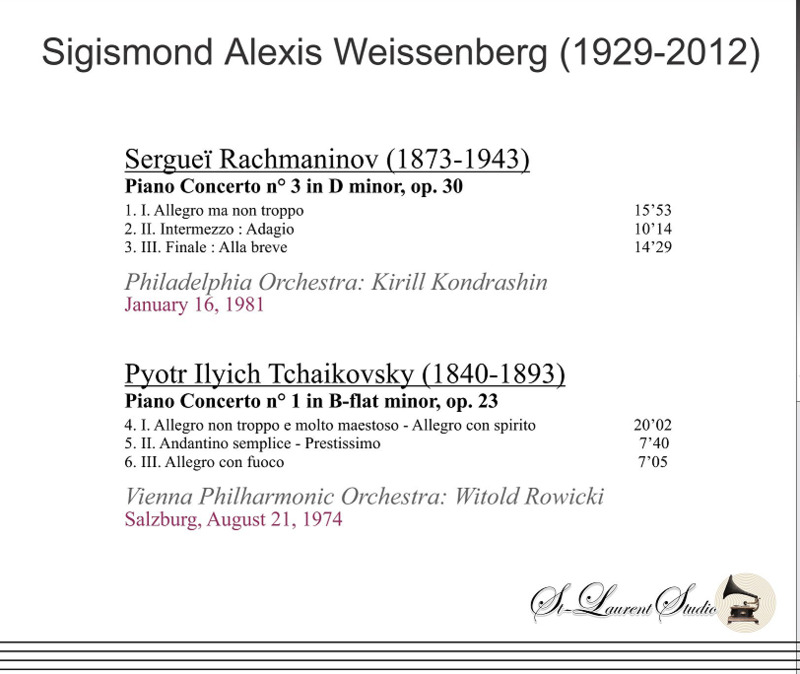 ALEXIS WEISSENBERG, w.Kondrashin Cond. Philadelphia Orch. : Piano Concerto #3 in d (Rachmaninoff), Live Performance, 16 Jan., 1981; w.Rowicki Cond. Vienna Phil. : Piano Concerto #1 in b-flat (Tschaikowsky), Live Performance, 21 Aug., 1974, Salzburg. 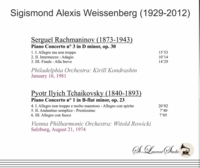 [While both performances are glorious, the Rachmaninoff is truly one of 'occasion'. 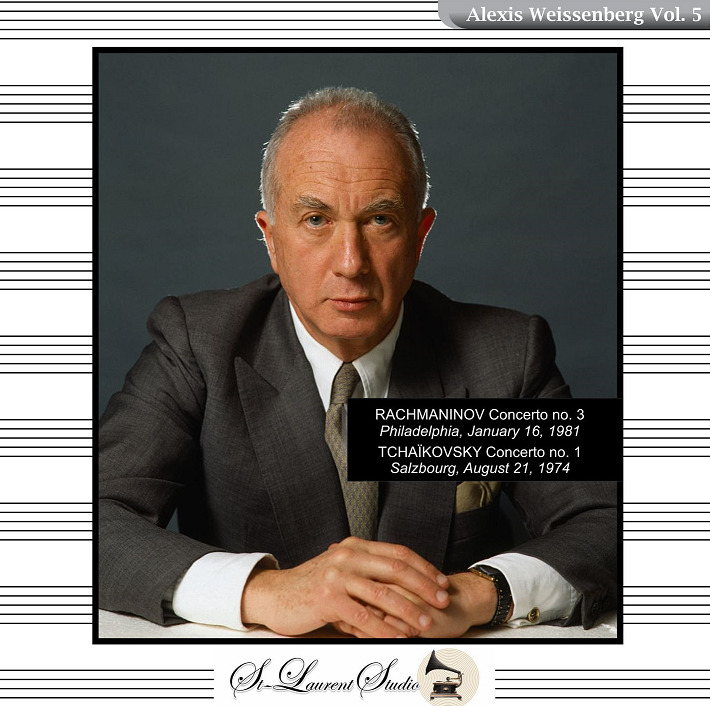 Weissenberg and Kondrashin create dynamic tension, alternating with sensuous repose, poetic and tempestuous. This was clearly a Philadelphia 'event'!] (Canada) St Laurent Studio YSL T-485. Transfers by Yves St Laurent.